Those who were present valued the candid sharing from the young Alumni who spoke of the importance of acquiring experiences throughout their undergraduate years, being proactive to meet and speak with people from different backgrounds. Going on Student Exchange Programmes, securing local or overseas internships, participating in hall activities, CCAs and gaining volunteering experiences are just some examples of avenues where you can gain exposure to your fields of interest and acquire soft skills. One of the unique selling points of a FASS graduates are people and communication skills and ability to offer a different perspective on the issue at hand. This puts you in a better advantage in organizations where employees are required to work in teams or brainstorm ideas to creatively solve real world problems. Some Alumni shared that it was a natural transition for them moving into their first job as things just fell in place nicely when they were searching for their first job. Having exposure to the industry and knowing people in the field greatly helped them in their decision making process and the transition. The Alumni present also candidly shared about the toughest interviews that they went through and emphasized on the importance of not only being prepared for the interview but also having the right attitude when presenting yourself to potential employers. Sharings on work culture, the make-up of colleagues in their work places and challenges faced in their roles gave the audience fresh insights on what to expect in the real working world. 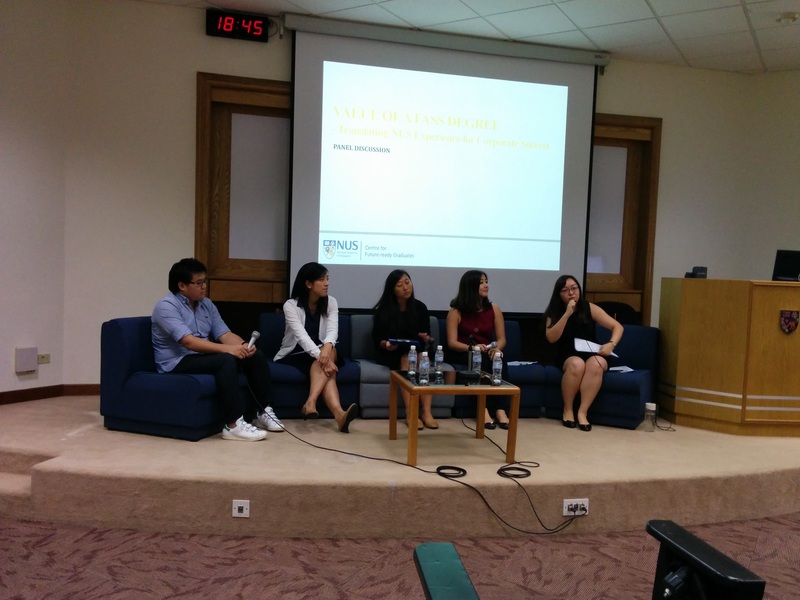 The Alumni were open and generous in their personal sharing and offered valuable tips. We look forward to organizing a subsequent installment of this well-received FASS Conversations talk! To hear from HR Managers perspective on the topics covered, we invite you to the 3rd Instalment of the HR Perspectives – Recruitment Deciphered! 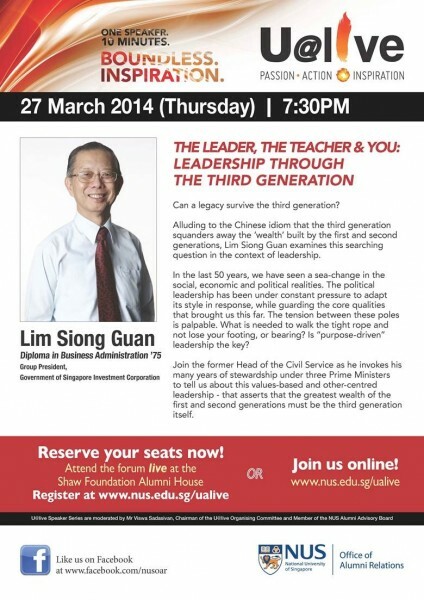 Talk on 6 Apr, Wed, 4-6pm. Take a glimpse into the “behind-the-scenes” process of job applications and understand from HR’s perspectives on what makes or breaks an application. <Click here> to sign up for the event! Actor-puppeteer Bright Ong made a pact with his parents, after graduating from university, that he could be financially independent as an actor in two years, but managed it in half the time by eating just one or two meals a day. The 26 year old’s love for performing was ignited when he started acting in amateur productions at university, and was trained in theatre as a member of the Singapore Repertory Theatre (SRT)’s The Young Company. 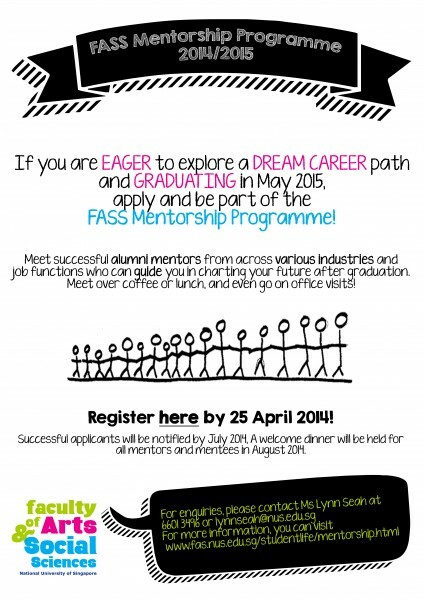 Dear FASS students, if you are planning to graduate in 2015, this is for you! 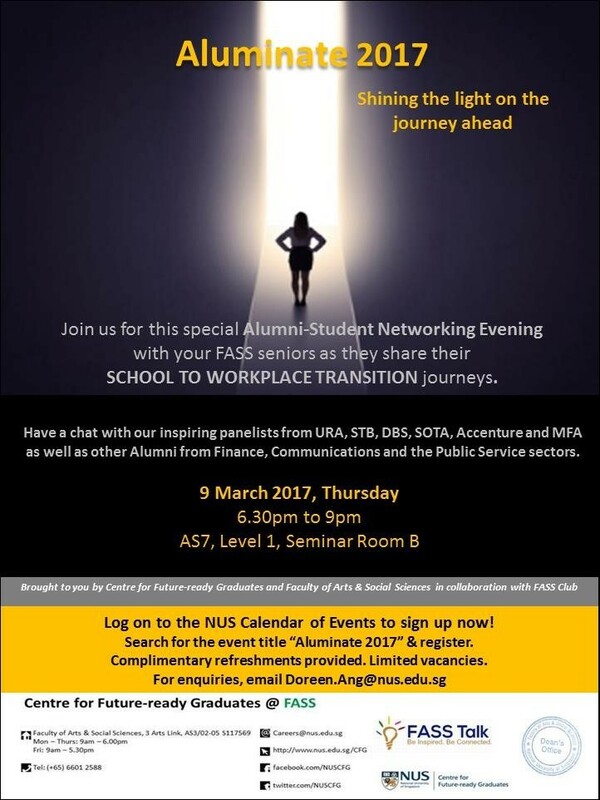 In this programme, you will be matched with a FASS Alumni Mentor who can lend a Helping Hand in your Transition fromUniversity to Working Life. Each student will be matched with a mentor who can provide you with career and personal development guidance over the period of 1 year (August 2014 till July 2015 – during which at least four meetings are encouraged). It is up to mentors and their mentees to decide how best to engage each other in the exchange of ideas, and sharing of experiences and knowledge; whether over a meal, involvement in seminars and event management, or office visits to understand the working environment etc. In 2013/14, 86 FASS students were enrolled in the programme. 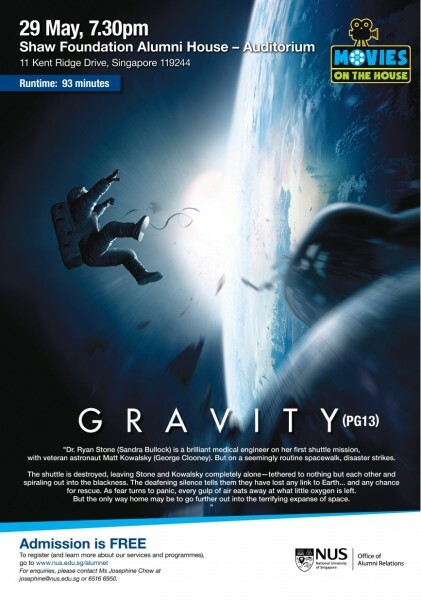 The High Commission of Canada and the NUS Office of Alumni Relations are jointly presenting the Canadian Film Forum 2014, from 24 to 26 March, at the Shaw Foundation Alumni House. 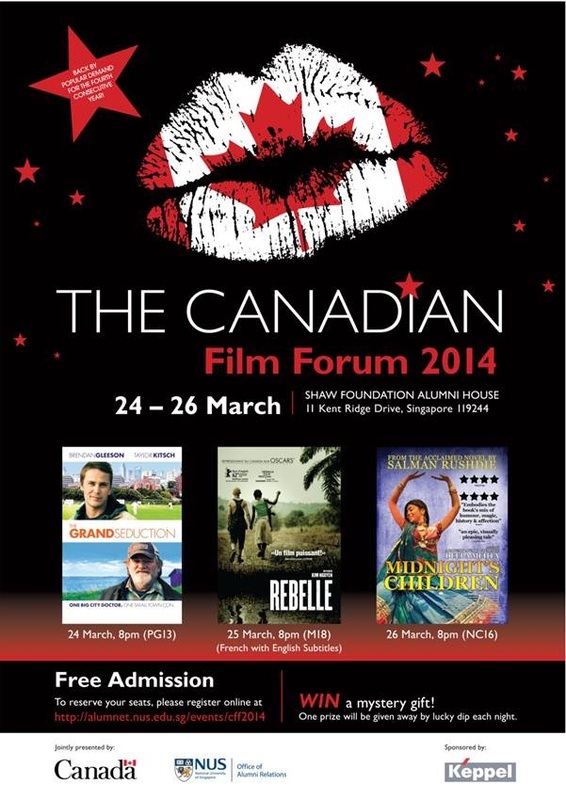 The Forum will showcase the best of Canadian films to the NUS community. 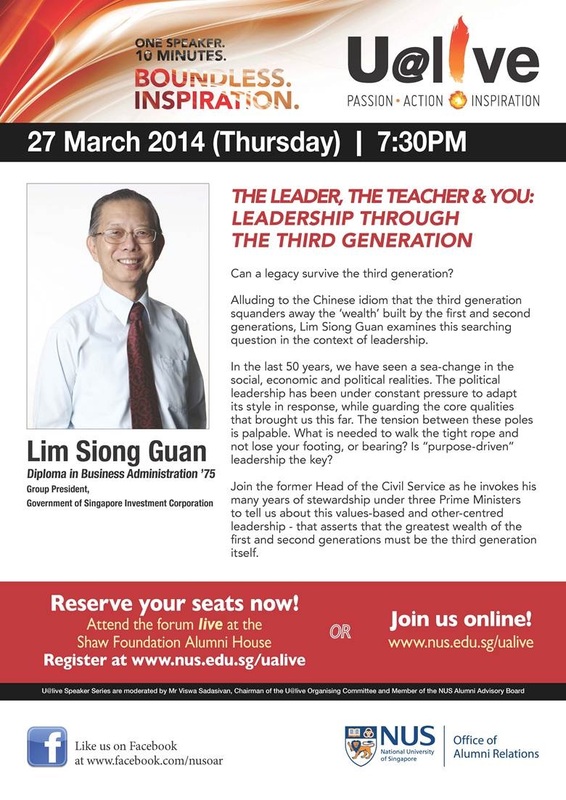 Join the former Head of the Civil Service as he invokes his many years of stewardship under three Prime Ministers to tell us about this values-based and other-centered leadership – that asserts that the greatest wealth of the first and second generations must be the third generation itself. We sincerely hope that you will be able to join us for this event.